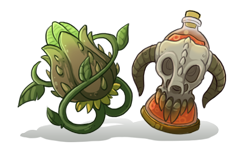 [center][url=http://www1.flightrising.com/forums/ann/2485150][img]http://flightrising.com/dropbox/communityupdate_w.png[/img][/url][/center] [list][*][b]Introducing:[/b] Hatchling Avatars! [*][b]Community Spotlight[/b] [*][b]#FRFanArt Spotlight[/b] [*][b]2017-2018 Festival Recap:[/b] [list][*]Crystalline Gala [*]Trickmurk Circus [*]Mistral Jamboree [*]Wavecrest Saturnalia [*]Greenskeeper Gathering[/list] [*][b]Community Reminders[/b] [list][*]Lose access to your account? [*]Thundercrack Carnivale[/list][/list] [center][b][url=http://www1.flightrising.com/forums/ann/2485150]Click here to read more! [/url][/b][/center] [more] [br] ----- [br] [b][size=5]Hatchling Avatars[/size][/b] Is your favorite dragon a 'perma-baby?' Have you always wished you could use that forever young hatchling as your account's avatar? Now you can! [center][img]http://flightrising.com/dropbox/hatchling_avatar.png[/img][/center] [b][size=4]How do I make a hatchling my avatar? [/size][/b] Setting a hatchling as an avatar works the same way as an adult dragon: [list=1][*]Navigate to the drop down window next to your username. [*]Select 'Change Avatar'. [*]Select the hatchling you would like to have as your avatar. [/list] [b][size=4]Will my avatar remain a hatchling? [/size][/b] You can set any hatchling as an avatar [b]but[/b] unless they are [b]eternally youthful[/b], your avatar will change to the adult version of the selected dragon five (5) days after hatching. [br] ----- [br] [b][size=5]Community Spotlight[/size][/b] Earlier this year, we opened the doors permanently for new player registration! 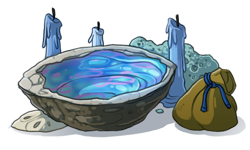 Launched alongside that was ten (10) new additions to our lore: [b][url=http://www1.flightrising.com/forums/ann/2392505][i]Bounty of the Elements! [/i][/url][/b] [b][size=4][i]Bounty of the Elements[/i] Lore[/size][/b] In case you missed it, click on each book below to read the new lore! [center] [url=http://flightrising.com/main.php?p=wiki&article=92][img]http://flightrising.com/dropbox/lore_ice9268676.png[/img][/url][url=http://flightrising.com/main.php?p=wiki&article=93][img]http://flightrising.com/dropbox/lore_arcane9933737.png[/img][/url] [url=http://flightrising.com/main.php?p=wiki&article=94][img]http://flightrising.com/dropbox/lore_fire9066314.png[/img][/url][url=http://flightrising.com/main.php?p=wiki&article=95][img]http://flightrising.com/dropbox/lore_wind9368547.png[/img][/url] [url=http://flightrising.com/main.php?p=wiki&article=96][img]http://flightrising.com/dropbox/lore_shadow9415791.png[/img][/url][url=http://flightrising.com/main.php?p=wiki&article=97][img]http://flightrising.com/dropbox/lore_earth9776527.png[/url] [url=http://flightrising.com/main.php?p=wiki&article=98][img]http://flightrising.com/dropbox/lore_lightning9943505.png[/img][/url][url=http://flightrising.com/main.php?p=wiki&article=99][img]http://flightrising.com/dropbox/lore_natureplague8970443.png[/img][/url] [url=http://flightrising.com/main.php?p=wiki&article=100][img]http://flightrising.com/dropbox/lore_water8964518.png[/img][/url][url=http://flightrising.com/main.php?p=wiki&article=101][img]http://flightrising.com/dropbox/lore_light9398113.png[/img][/url] [/center] [b][size=4]Spotlight[/b][/size] We loved reading your takes on the new lore, how you applied it to your own clans and dragons, and your fan art of new [i]Flight Rising[/i] characters! [center][b]We'd like to spotlight a stand-out thread that caught our attention during [i]Bounty of the Elements! [/i][/b][/center] [center][url=http://www1.flightrising.com/forums/frd/2391371][img]http://flightrising.com/dropbox/spotlighttwistinglightscrazyredfire.png[/url][/img] [size=2]Credit: @HuskyLove[/size][/center] [center][b][url=http://www1.flightrising.com/forums/frd/2391371]The Twisting Lights Post[/url][/b][/center] Written by @CrazyRedFire, [i]The Twisting Lights Post[/i] is an in-universe recap of each short story introduced by [i]Bounty of the Elements[/i]. We enjoyed reading it and if you haven't had a chance to check it out yet, well, what are you waiting for? Click that link and get to reading! [br] ----- [br] [b][size=5]Fan Art Fridays[/size][/b] For our social media communities, we've introduced Fan Art Friday on [b][url=https://twitter.com/FlightRising]Twitter[/url][/b] and [b][url=http://flightrising.tumblr.com/]Tumblr[/url][/b]! Based on community participation and interest, we will be expanding to other platforms in the future! [b][size=4]How to Participate[/size][/b] Include [b]the #FRFanArt tag[/b] when you post your art. [b][size=4]Why use the hashtag? [/b][/size] Using this hashtag also communicates to us that [b]it is okay to share/retweet/or possibly spotlight[/b] your work! When we're getting ready for our next Community Update, you'll be contacted by a [i]Flight Rising[/i] team member, usually as a reply to the art post we'd like to spotlight. Alternatively, you can include your username somewhere in the post or fanart. Doing this means you won't have to keep an eye out for any replies or reblogs! [b]If your fanart makes it into a Community Update,[/b] we will credit you with your username and a direct link to the art piece itself. While we may not be able to share all posted fan art, using #FRFanArt is also a way to show off your fan art to new people and fellow players when they browse the tag. [b][size=4]Why Social Media? [/size][/b] There are many of our players who don't visit the forums, just waiting to be engaged. In addition to FRFanArt on Twitter and Tumblr, we highly recommend checking out the many beautiful pieces of art made by our community on the [url=https://flightrising.deviantart.com/][b]Flight Rising Deviantart Group[/b][/url]. [b][size=4]Fan Art Friday Spotlight! [/size][/b] Click on the preview to see the full image! [br] [indent][columns][center] [br][url=http://silverscalestudios.tumblr.com/post/167217142438/a-sleepy-boi-twitter-facebook][img]http://flightrising.com/dropbox/tumkyrag.png[/img][/url] [b]@KyraG[/b][/center] [nextcol][nextcol][nextcol][nextcol][nextcol][nextcol][nextcol][nextcol][nextcol][nextcol][center] [url=https://twitter.com/Hannahcomb/status/969689604696649728][img]http://flightrising.com/dropbox/desniktwitter.png[/img][/url] [b]@Desnik[/b][/center] [nextcol][nextcol][nextcol][nextcol][nextcol][nextcol][nextcol][nextcol][nextcol][nextcol][center][url=https://ag-is-my-name.tumblr.com/post/171728985326/consider-snappers-sitting-like-that][img]http://flightrising.com/dropbox/luckyonetumblr.png[/img][/url] [b]@LuckyOne[/b][/center] [/columns][/indent] [indent][columns][nextcol][center][url=https://twitter.com/sapphosaint/status/1014731465094041600][img]http://flightrising.com/dropbox/sapphosainttwitter.png[/img][/url] [b]@sapphosaint[/b][/center] [nextcol][nextcol][nextcol][nextcol][nextcol][nextcol][nextcol][nextcol][nextcol][nextcol][center][url=https://icyhissi.tumblr.com/post/172647747421/beneath-the-gazing-stars-vales-deep-and-forests][img]http://flightrising.com/dropbox/ssevoratumblr.png[/img][/url] [b]@ssevora[/b][/center] [nextcol][nextcol][nextcol][nextcol][nextcol][nextcol][nextcol][nextcol][nextcol][nextcol][center][url=https://twitter.com/SmolOwlChemist/status/1008386757396754433][img]http://flightrising.com/dropbox/guardianowltwitter.png[/img][/url] [b]@GuardianOwl[/b][/center] [/columns][/indent] [indent][indent][columns][nextcol][nextcol][center][url=https://twitter.com/AlpineHell/status/971202673826455553][img]http://flightrising.com/dropbox/alpinehelltwitter.png[/img][/url] [b]@AlpineHell[/b][/center] [nextcol][nextcol][nextcol][nextcol][nextcol][nextcol][nextcol][nextcol][nextcol][center][url=https://twitter.com/zerrace/status/966913980160655365][img]http://flightrising.com/dropbox/twitzerrace.png[/img][/url] [b]@zerrace[/b][/center] [/columns][/indent][/indent] [br] ----- [br] [b][size=5]Flight Festival Recap 2017 - 2018[/size][/b] For those new to [i]Flight Rising[/i], back when we first opened the community created the tradition of celebrating a Flight’s holiday by putting on a site-wide organized event. These events are characterized by a “hub” posted in the [b][url=http://www1.flightrising.com/forums/frd]Flight Rising Discussion forum[/url][/b]. Here players share and celebrate their Flight with their fellow players and provide a digest of links and mini-events happening around the site. 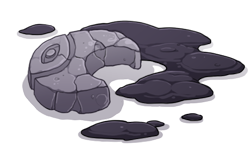 Our [b][url=http://www1.flightrising.com/forums/ann/2342803]last Community Update[/url][/b] covered the 2017-2018 [b]Starfall Celebration[/b] through [b]Rockbreaker's Ceremony[/b]. Today we’ll cover the 2017-2018 [b]Crystalline Gala through Greenskeeper Gathering! [/b] Given the depth and breadth of the events, it’s not always possible to recap every mini-event held. Please take the time to check out each hub to see everything [b]Ice, Shadow, Wind, Water, and Nature[/b] had to offer their fellow players this year! [br] [center][url=http://www1.flightrising.com/forums/ann/2367562][img]http://flightrising.com/dropbox/ice_contest.png[/img][/url] [i][size=2]All events listed below have completed. [/size][/i][/center] [center][b][url=http://www1.flightrising.com/forums/frd/2362075][size=4][ICEDOM] Crystalline Gala Hub[/size][/url][/b] [/center] [br][list][*][b][url=http://www1.flightrising.com/forums/qnc/2358841]Crystalline Gastronomic Delights[/b][/url][br] [indent]What is a carnival without food? Come and put your culinary skills to the test! Do you have what it takes to make the best dish? Open to all flights and skill levels. 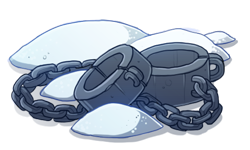 [/indent] [br] [*][b][url=http://www1.flightrising.com/forums/cc/2357981]Winter Carnival Lore Writing[/b][/url][br] [indent]Calling writers of all levels! Come with me on a writing journey where each day a prompt will be posted about the winter carnival. Describe what happens next as you write, when each prompt is posted. Enjoy the journey at the Winter Carnival 2018 as each day comes. [/indent] [br] [*][b][url=http://www1.flightrising.com/forums/qnc/2358219#post_2358219]Dress In Your Best[/b][/url][br] [indent]Dragons from all over Sornieth gather this year in The Southern Icefields to celebrate with the most speculated event of all -- the Gala. With cameras everywhere, first impressions really do matter, so head over to the Dress in your Best event and design the perfect outfit for every day! [/indent] [br][/list] [br] [center][url=http://www1.flightrising.com/forums/ann/2379738][img]http://flightrising.com/dropbox/shadow_contest.png[/img][/url] [i][size=2]All events listed below have completed. [/size][/i][/center] [center][b][url=http://www1.flightrising.com/forums/frd/2375631][size=4]Trickmurk Event Hub - New open events[/size][/url][/b] [/center] [br][list][*][b][url=http://www1.flightrising.com/forums/cc/2380147]Mysterious Manuscripts[/b][/url][br] [indent]A writing contest for writers who write stuff[/indent] [br] [*][b][url=http://www1.flightrising.com/forums/drs/2375705]Dragon Share... with prompts! [/b][/url][br] [indent]Do you like sharing and showing-off your dragons? New prompts every few days - share yours and take inspiration from other dragons! [/indent] [br] [*][b][url=http://www1.flightrising.com/forums/qnc/2375716]Tintmurk Coloring Contest[/b][/url][br] [indent]Rest your mind for a bit and color some art (as we like surprises, with some prizes for the most surprising skills)[/indent] [br][/list] [br] [center][url=http://www1.flightrising.com/forums/ann/2403668][img]http://flightrising.com/dropbox/wind_contest.png[/img][/url] [i][size=2]All events listed below have completed. [/size][/i][/center] [center][b][url=http://www1.flightrising.com/forums/frd/2396521][size=4][MJ] Mistral Jamboree 2018 Main hub[/size][/url][/b] [/center] [br][list][*][b][url=http://www1.flightrising.com/forums/qnc/2398693#post_2398693]Mistral Meals[/b][/url][br] [indent]Got a nose for cooking? Try your skills in this competition and see if you can get top chef for the year! [/indent] [br] [*][b][url=http://www1.flightrising.com/forums/qnc/2397052#post_2397052]Masquerade[/b][/url][br] [indent] Bring out those masks and clothings! It's time to dress to impress! 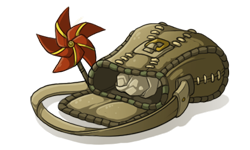 [/indent] [br] [*][b][url=http://www1.flightrising.com/forums/cc/2396946]Poetry[/b][/url][br] [indent]Make a rhyme or poem and see if you can sweep the judges off their feet. [/indent] [br][/list] [br] [center][url=http://www1.flightrising.com/forums/ann/2422780][img]http://flightrising.com/dropbox/water_contest.png[/img][/url] [i][size=2]All events listed below have completed. [/size][/i][/center] [center][b][url=http://www1.flightrising.com/forums/frd/2418527][size=4] [WC] Secrets of the Deep - Wavecrest Hub[/size][/url][/b] [/center] [br][list][*][b][url=http://www1.flightrising.com/forums/frd/2422913#post_2422913]Letters From the Exalted[/b][/url][br] [indent]The Tidelord's exalts are put into service in many traditional ways, from warding off Beastclan incursions to sorting and delivering prophecy bubbles. The strongest and most fearless have another duty, too; a duty they will not disclose, and a duty that only rarely comes about. It is coming about in a way that few could have imagined. But they still have time to write...[/indent] [br] [*][b][url=http://www1.flightrising.com/forums/drs/2422963/1#post_2422963]Into the Undertow[/b][/url][br] [indent]It's an ill-kept secret in the Sea that scrying is a lot harder than it used to be. The Tidelord no longer whispers his visions of the future, and the surviving prophecy bubbles are... wrong. Infighting and malcontent ride the undercurrents of the deep and threaten to destroy the Sea if things go further. It will take a band of appropriately-dressed heroes to put things to rights! 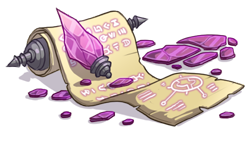 [/indent] [br] [*][b][url=http://www1.flightrising.com/forums/qnc/2421889/1#post_2421889]Deep Sea Discoveries[/b][/url][br] [indent]Levitos is host to the Royal Cryptozoological Society, a small organization holed up in a even smaller office. It purports to study the 'cryptozooids' of the Leviathan Trench, better known as beasts, abominations, or, well, leviathans, although it has sub-branches for the unusual fauna of the other Water regions. The Society is recruiting this Saturnalia, and is seeking written descriptions of newly-observed creatures... for the promise of a good sum in return, of course! [/indent] [br][/list] [br] [center][url=http://www1.flightrising.com/forums/ann/2444451][img]http://flightrising.com/dropbox/nature_contest.png[/img][/url] [i][size=2]All events listed below have completed. [/size][/i][/center] [center][b][url=http://www1.flightrising.com/forums/frd/2437475/][size=4] [GG] Greenskeeper Event Hub 2018[/size][/url][/b] [/center] [br][list][*][b][url=http://www1.flightrising.com/forums/qnc/2440328#post_2440328]Eggscellent Egg Hatch[/b][/url][br] [indent]An Egg Guessing Game! Each day a new unhatched egg is hatched. The player who guesses closest to the actual colors wins the hatchling. 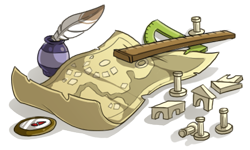 [/indent] [br] [*][b][url=http://www1.flightrising.com/forums/qnc/2441946#post_2441946]The Explorer's Query[/b][/url][br] [indent]A riddle contest! [/indent] [br] [*][b][url=http://www1.flightrising.com/forums/qnc/2440618/1#post_2440618]Out of the Wilds: Lore & Writing Contest[/b][/url][br] [indent]You'll be writing about cryptids popping up all over Sornieth! Winners will be randomly selected from entries. [/indent] [br][/list] [br] ----- [br] [b][size=5]Community Reminders[/size][/b] [b][size=4][url=https://flightrising.zendesk.com/hc/en-us/articles/115004094566]Lose access to your account? [/url][/size][/b] [b]Our Contact Us page does not require a player be logged into an account[/b] to submit a ticket. If you have lost access to your [i]Flight Rising[/i] account, [b]do not create a new account[/b] in order to contact us. [b]If you've lost your registered email address[/b], that's okay! As long as you are using an email you can reliably access, you can send us a request for help recovering your account. We should note, this only applies to account recoveries. If you need help with something related to harassment, a dragon, etc you will need to use your registered email address so we can verify we are not disclosing any information to a third party. [b][size=4]Thundercrack Carnivale[/size][/b] And before we go, we'd like to remind you that the [b]Thundercrack Carnivale[/b] will begin on [b]Sunday, July 22nd at 06:00 server time[/b]. We will continue posting reminders about the changed start time on social media, in our front page updates, and in Site Status when we are closer to the festival start time. [b]On July 22nd, to help players save their gathering turns between 00:30 and 06:00[/b] server time, there will be a pop-up notice about the festival start time the first time you try to gather. [br] [indent][b]Example:[/b] If you navigate to the gathering page and click "Scavenge," you'll get a pop-up reminding you about the festival start time before consuming the turn. [b]If you choose to scavenge again, the gathering turn will be consumed[/b]. [b]If you do not, you will not use that turn[/b] and it will be available when the festival starts. [/indent] [br] While we're on the topic of flight festivals, we'd like to update you on our scheduling plans: [center][b][size=4]Going forward, the new start time for elemental holidays will be 06:00 server time. [/size][/b][/center] [br] [center][img]http://flightrising.com/dropbox/flameforgerstart.gif[/img][img]http://flightrising.com/dropbox/starfallstart.gif[/img][img]http://flightrising.com/dropbox/riotofrotstart.gif[/img] [img]http://flightrising.com/dropbox/rockbreakersstart.gif[/img][/center] [center][size=2]Exact dates for 2019 will be provided closer to the Crystalline Gala. [/size][/center] [br] ----- [br] That's it for this update! Our next update will include more festival recaps for the 2018-2019 season, Theme Week spotlights, and more! Lose access to your account? Is your favorite dragon a 'perma-baby?' Have you always wished you could use that forever young hatchling as your account's avatar? Now you can! How do I make a hatchling my avatar? Navigate to the drop down window next to your username. Select the hatchling you would like to have as your avatar. Will my avatar remain a hatchling? You can set any hatchling as an avatar but unless they are eternally youthful, your avatar will change to the adult version of the selected dragon five (5) days after hatching. Earlier this year, we opened the doors permanently for new player registration! 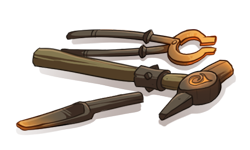 Launched alongside that was ten (10) new additions to our lore: Bounty of the Elements! In case you missed it, click on each book below to read the new lore! We loved reading your takes on the new lore, how you applied it to your own clans and dragons, and your fan art of new Flight Rising characters! We'd like to spotlight a stand-out thread that caught our attention during Bounty of the Elements! Written by @CrazyRedFire, The Twisting Lights Post is an in-universe recap of each short story introduced by Bounty of the Elements. We enjoyed reading it and if you haven't had a chance to check it out yet, well, what are you waiting for? Click that link and get to reading! If your fanart makes it into a Community Update, we will credit you with your username and a direct link to the art piece itself. Our last Community Update covered the 2017-2018 Starfall Celebration through Rockbreaker's Ceremony. Today we’ll cover the 2017-2018 Crystalline Gala through Greenskeeper Gathering! Given the depth and breadth of the events, it’s not always possible to recap every mini-event held. Please take the time to check out each hub to see everything Ice, Shadow, Wind, Water, and Nature had to offer their fellow players this year! What is a carnival without food? Come and put your culinary skills to the test! Do you have what it takes to make the best dish? Open to all flights and skill levels. Calling writers of all levels! Come with me on a writing journey where each day a prompt will be posted about the winter carnival. Describe what happens next as you write, when each prompt is posted. Enjoy the journey at the Winter Carnival 2018 as each day comes. Dragons from all over Sornieth gather this year in The Southern Icefields to celebrate with the most speculated event of all -- the Gala. With cameras everywhere, first impressions really do matter, so head over to the Dress in your Best event and design the perfect outfit for every day! Do you like sharing and showing-off your dragons? New prompts every few days - share yours and take inspiration from other dragons! An Egg Guessing Game! Each day a new unhatched egg is hatched. The player who guesses closest to the actual colors wins the hatchling. You'll be writing about cryptids popping up all over Sornieth! Winners will be randomly selected from entries. Our Contact Us page does not require a player be logged into an account to submit a ticket. If you have lost access to your Flight Rising account, do not create a new account in order to contact us. If you've lost your registered email address, that's okay! As long as you are using an email you can reliably access, you can send us a request for help recovering your account. We should note, this only applies to account recoveries. If you need help with something related to harassment, a dragon, etc you will need to use your registered email address so we can verify we are not disclosing any information to a third party. And before we go, we'd like to remind you that the Thundercrack Carnivale will begin on Sunday, July 22nd at 06:00 server time. We will continue posting reminders about the changed start time on social media, in our front page updates, and in Site Status when we are closer to the festival start time. On July 22nd, to help players save their gathering turns between 00:30 and 06:00 server time, there will be a pop-up notice about the festival start time the first time you try to gather. Example: If you navigate to the gathering page and click "Scavenge," you'll get a pop-up reminding you about the festival start time before consuming the turn. If you choose to scavenge again, the gathering turn will be consumed. If you do not, you will not use that turn and it will be available when the festival starts. 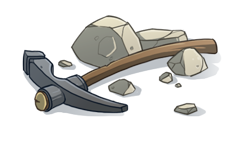 Going forward, the new start time for elemental holidays will be 06:00 server time. Exact dates for 2019 will be provided closer to the Crystalline Gala. That's it for this update! Our next update will include more festival recaps for the 2018-2019 season, Theme Week spotlights, and more! I love those hatchling avatars, I LOVE THEM! 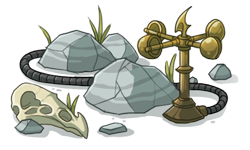 It was always annoying to see those big white areas where my hatchlings were in the change avatar page. Edit: First page!! Heck yes! And hatchling avatars?! AWESOME! I occasionally don't get pings because of misspellings. My username is SLP (lowercase), three zeroes, and a one. You can copy and paste it if you're not sure you have it right. If you want to talk about something troubling you, my PM box is open to everyone! Feel free to reach out whenever, and I'll get back to you as soon as I can. I'll keep what you say a secret, if you want. It's my pleasure to help out everyone I can!